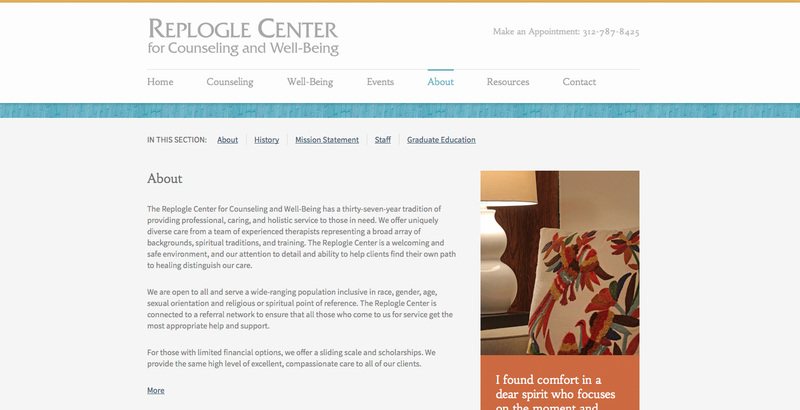 The Replogle Center provides counseling, workshops and seminars, spiritual direction, and premarital coaching in a professional and holistic setting. 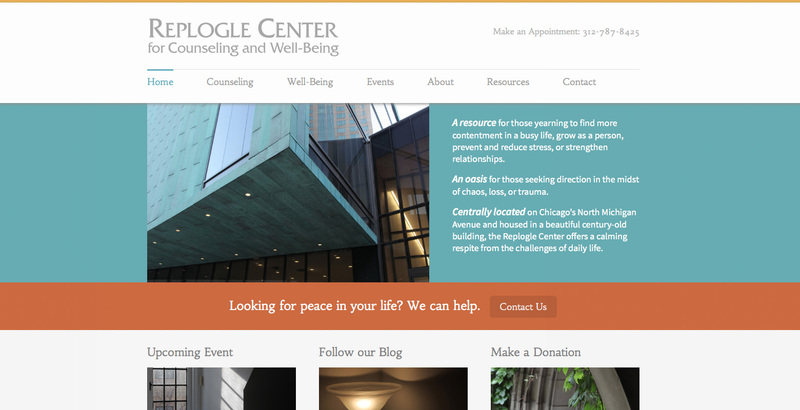 I can't say enough about how helpful Megan was in creating a website we are very pleased with. She is personable, listens well, and is a quick study which resulted in us being able to convey our ideas efficiently and see them come to life in the layout and design of our site. She has good boundaries and laid out the process in a way that set our expectations well about what she could do, how she would do it, and in what time frame. She was very responsive to all requests and input and kept the process moving forward to completion. I would use her again for other work and would highly recommend her to others.